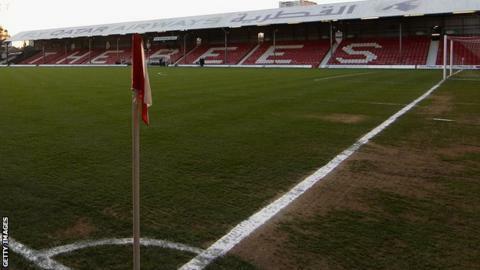 League One side Brentford have announced a partnership with Icelandic second division outfit UMF Selfoss. The arrangement will see players from the west London club's youth and development squads play in Iceland. Brentford's academy director Ose Aibangee said: "It is very unusual for a club at League One level to be able to secure this sort of partnership. "I have been over to Iceland and they have some very exciting ideas in terms of coaching and developing players." Selfoss was founded as a general sports club in 1936 and the football team, which has become UMF Selfoss, was founded in 1955. "This breaks new ground and the name of Brentford will be known much further afield," Aibangee told the club website. "The Icelandic season runs from May to September, so our young players can go there on loan during our summer if it will aid their development. "Some may even be able to use it as an exit route if their time at Brentford has come to an end." Selfoss are currently coached by Iceland Under-17 manager Gunnar Gudmundsson and, as part of the partnership, Brentford will be able to use Selfoss's scouting network. "They are keen to work with us as they see a club with a similar ethos," Aibangee continued. "Working with Selfoss, and also Gunnar, will expand our scouting network. "You can look throughout Europe and see some top players that have come from Iceland. "Our link will help us find those stars before they hit the wider stage and possibly get them to Brentford. "We will get to hear about the best players in Iceland before the rest of Europe."